Continuing the trend from Drupalcon Amsterdam, I hosted an informal BoF session at Drupalcon Barcelona, for freelancers to chat among themselves. 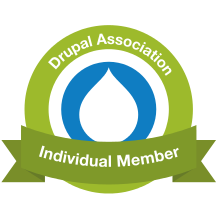 As a lot more of Drupal's space is being occupied by big players these days, I like to think this helps "single players" carve out a space at the conference. Successful collaborating continues to be a concern. Most sticking points seem to be contractual and/or comms: especially when these cross multiple jurisdictions, disciplines or client expectations. Unusually, people were willing to talk about approximate rates bands in different countries. The rough patterns are as expected, although of course high rates in your own country cut both ways. It was suggested that sometimes it was worth taking a lower rate for a contract which is likely to last a lot longer. Finding work seems to be less of a worry, but client expectation more so: to what extent, and for how many hours of the day, should clients expect to be able to contact you? Few things were genuinely solved at the BoF, but I don't think that's as important as having the conversations, making the minutes available and helping others build on those discussions afterwards. How far the issues will be taken beyond the conference remains to be seen (which is why I call them concerns and worries, rather than urgent motivations!) But I think it's still useful for freelancers to have this space at future conferences, and I'll be glad to continue to help enabling it if I can.